The Marta Mohan Team began years ago with the idea that a team of Realtors could provide our clients with a higher level of experience and service than we could as individual agents. We are all licensed Realtors and we have been proudly serving the families of the Fort Bend community for many years. Our way of working together encourages collaboration, resources and knowledge, and most importantly, ensures constant availability to our clients even during our vacation and family time. We are proud of and dedicated to our team model. Our team works together in an open office environment and utilizes centralized communication methods so that each team member is always up to date on our clients’ goals and transactions. Our unique system and organized use of the best real estate technologies allow us to share relevant information with each other in a timely and seamless fashion. The Home Buying and Selling Processes ensure that our clients have the knowledge and guidance they need to navigate the market successfully. Our Team Leader - Marta Mohan is on the front lines with clients: ascertaining goals, keeping up with the market, helping Seller’s prepare homes for market, and negotiating contracts. Marta specializes in preparing homes for market and getting them sold quickly for the best price possible. Possessing fierce negotiation skills Marta is there every step of the way for our all our clients. 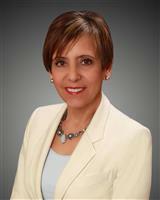 Our Buyer’s Agent - Cindy Grillo helps ensure that our buyers needs are understood and met. Scouring the listings daily and suggesting homes for our buyers is one of her foremost priorities. Her keen eye and dedication to helping our clients find the right home is a true asset. Our Transaction Coordinators - Christie Lam and Nancy Wraight provides client care and transactional oversight during business hours. They make sure that no detail is overlooked and all timelines are met on each transaction. They ensure that the myriad behind-the-scenes details are tended to and that nothing falls through the cracks. They communicate with all of the necessary parties to make sure clients and transaction partners have all the information they need to make decisions and meet deadlines.